Mention those two little words to almost any small business owner, and you’ll see them flinch. Very few business terms get as cool a response. 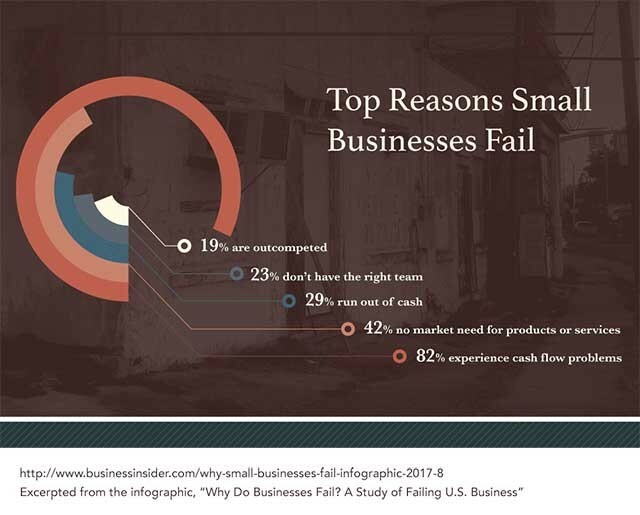 And sadly, those two little words (both of them four-letter words, interestingly enough), are the #1 reason small businesses fail. They take out more small businesses than any other factor. In fact, 82% of small businesses fail due to cash flow problems. And while most small business owners agree cash flow is the #1 risk for small businesses, cash flow is also a blanket term – a symptom, if you will – of several underlying causes. When you look at those underlying causes, you can better see how to solve the cash flow symptom. 1. Develop a minimum viable budget. Or, in other words, stay cheap. Here’s what I mean: As your business launches and grows, there will be a push and pull between funding and supporting that growth, and being conservative with your spending. When in doubt, stay conservative. The “lean and mean” startup headset – and the concept of a minimum viable budget - is your friend. You need a lean operating budget that can get through hard times. And you must expect and prepare for those hard times. Do not think that your business will be the sunny exception that never has trouble. That’s the trick with a lot of budgeting – to continue to be careful with your money even when times are good. Actually, you have to save money and stay frugal when times are good. Because if you can’t save then, in the good times, it’s unlikely you’ll do it when business gets tough. Have you ever seen a business start to slowly fall apart? Often, the first sign of trouble is that they start delaying payment on their bills. Or they’ll change their payment terms from 30-day net to 90-day net. The move doesn’t fool anyone. Even interns know what it means when a company delays paying its bills. In the next phase after delaying payments, a company will start playing the game of “who can we not pay for as long as possible”. It’s risky, because eventually the business makes a mistake and their credit gets dinged. Or one vendor gets fed up enough to finally call a collection agency, or to stop service. Once that’s happened, it’s often too late. As the saying goes, “you can only get a loan when it looks like you don’t need one.” Once you’ve shown signs of being financially strained, your loan options dwindle dramatically. And even if you can get a loan, the terms will be far less attractive. 3. Manage your inventory like it was your biggest, most expensive business asset. Ordering new items you don’t actually need, simply because you couldn’t find them. Expired items that should have been sold (even at a discount) before they became worthless. Unfulfilled ordered based on inventory demands you could have predicted. Extra costs accrued by having to fill those backorders. Disappointed customers who have to wait for backorders to be filled. Wasted employee hours spent looking for lost inventory, placing rush orders, managing back orders. The steep cost of paying for more inventory space than you would actually need – if your inventory was properly managed. This list goes on, but I think you get the idea. This is an expensive problem that’s surprisingly widespread. 43% of small businesses do not track their inventory or use a manual process. 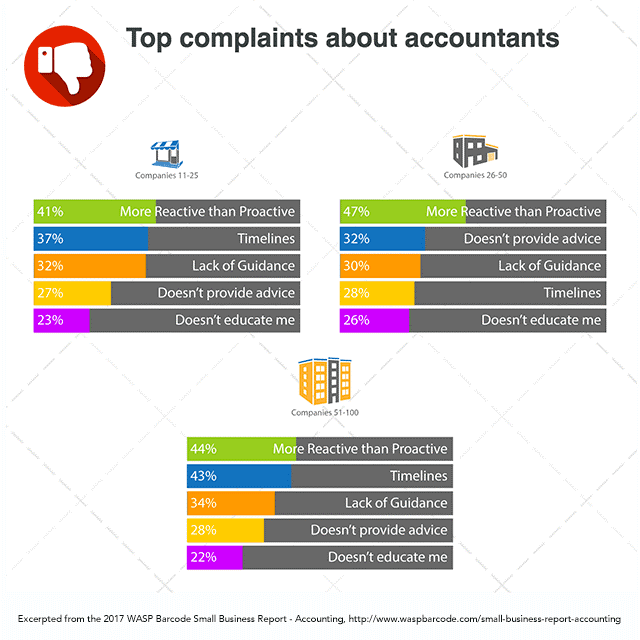 And 55% of small businesses do not track their assets or use a manual process. 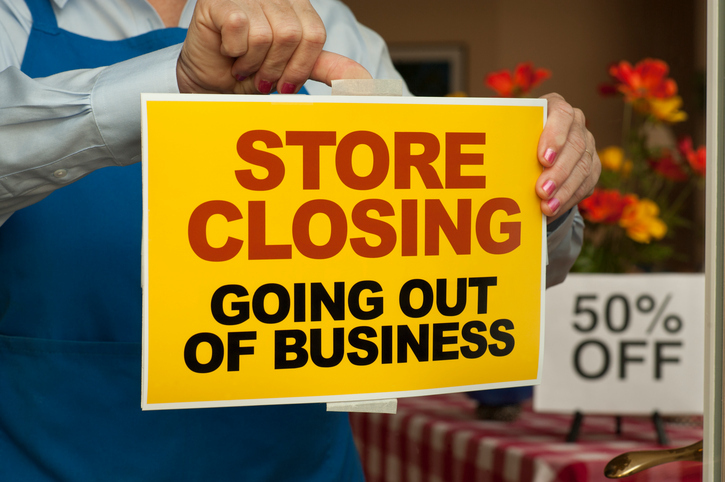 If your business slowed down for three months, could you manage the downturn financially? What about six months? A year? More than a year? It’s not a fun exercise, but you might want to talk with your accountant about how well positioned you are for an extended period of a soft economy. You never know – the news might be better than you think. Maybe you are well-positioned to get through a bad spell. But if you’re not, you’re still lucky. You’ve got time to get ready. It might be worthwhile to slow down your company’s growth, if only by a little, to make sure you’ve got cash reserves to manage everything if businesses conditions changed. Again – this isn’t a fun conversation to have, and it could mean you have to do a little bit of belt-tightening. But it’s a far easier conversation than have to tell employees they’re out of a job. 5. Get yourself a great accountant (or CPA). Problems with cash flow rarely come out of nowhere. They usually accumulate over time, in one form or another, while the business owner is busy with any number of other projects and responsibilities. That’s why having a great accountant or a CPA can be so helpful. If you’ve got a smart, proactive financial professional who’s really looking at your company’s finances with rigor and insight, you’ve got a fantastic insurance policy against cash flow problems (and many other financial woes). On the positive side, though, about half of small business owners don’t have this problem. They do have a proactive financial partner. Be like those business owners. It might just save your business. Cash flow problems are almost like death and taxes. You’re never going to escape them. But it is possible to manage cash flow. And you can definitely tame it to a point where it doesn’t threaten your business. Who knows… maybe you’ll even be among the happy group of small business owners who don’t frown or shrug when people mention these two little four-letter words.